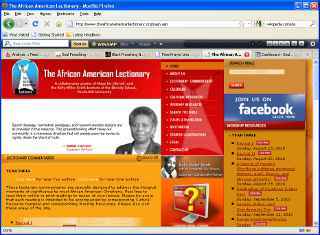 A SoulPreaching.Com reader asked for a list of websites and web resources that are helpful to preachers especially African American preachers. I told the reader that I would send it to the list and ask them for suggestions. I thought about 3 or 4 off the top of my head and will post them here. These are Free resources that provide valuable information to preachers. The African American Lectionary – This is a very good resource for those who wish to understand the “moments” of the African American Church Year as well as principles for addressing African American churches. I did an internship with the project and have also contributed 3 articles to it. 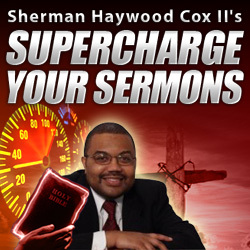 I highly recommend the resource for preachers. Check it out and let me know what you think. TextWeek.Com – This is arguably the best Revised Common Lectionary resource available on the web,and it is free. You will find a multitude of resources for illustration material as well as exegetical help. You will find historical references and commentary as well as reviews, sermons, hymns, and just about anything that will help you plan worship or construct sermons. Check it out! 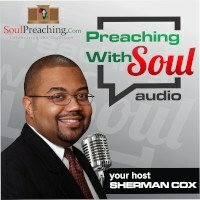 SoulPreaching.Com – OK, I know I am biased and perhaps it is a bit self serving, but I just couldn’t do a list like this without talking about my favorite website for preachers. So continue to visit this site and give your comments to make it better. Black Preacher’s Network – It is the largest social networking site for Black Preachers. They do have a forum and a few resources that may help you in your preaching. Please take this time to give the sites that you have found that help you in your preaching in the comment section below. Higher Difficulty Preacher or Bible Scholar?